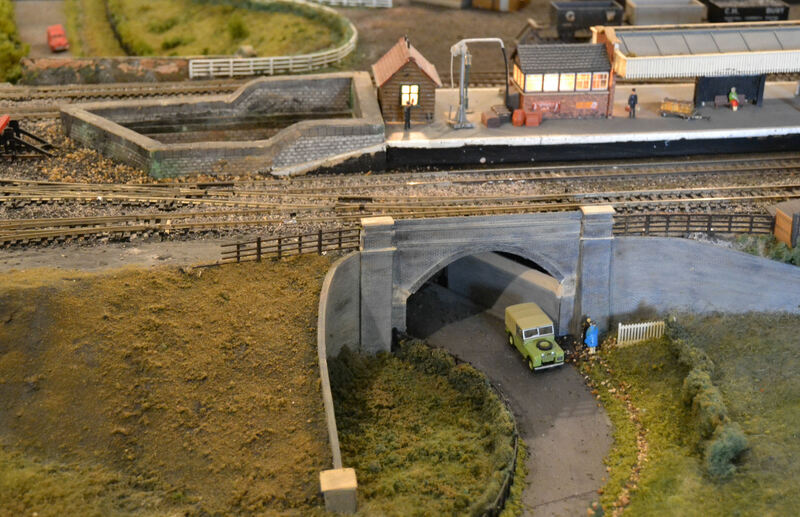 Have you or your family members got an interest in railway modelling? Parents? Children? Parents and Children? For those of you that don’t know – the model railway club is housed by kind permission of Woodford Halse Social Club on the top floor of the Social Club building. The layout is spread across three rooms and is a ‘OO’ gauge representation of Woodford Station as it was in earlier times, the track layout being set in the 1940s to 50s. You can get a great idea of how this terrific layout looks on the Club’s Facebook Page. The model railway originated in the 1980s and in the last five years a lot of renewal work has taken place. Like many village societies, our membership has declined and we are now down to a small but enthusiastic band of five members. We would love to have more! We meet weekly on Wednesday evenings at 7.00 pm. The only membership stipulation is that you have to join the Social Club in order to join us. A small weekly contribution is then made to keep us in solder, wire, scenery and materials. Sometimes we work on the layout (recently we upgraded the control panels and laid storage yards) and on other occasions we just enjoy running the trains and watch them go by. This could be a prototype night or anything goes – even Pendolino’s have been spotted! We are a friendly bunch, no special skills or experience are needed, just enthusiasm. If you are interested contact John Rose (01327 262564) or Keith Simmons (01327 263014 / email k.j.simmons@btinternet.com). This entry was posted in Local Clubs. Bookmark the permalink.